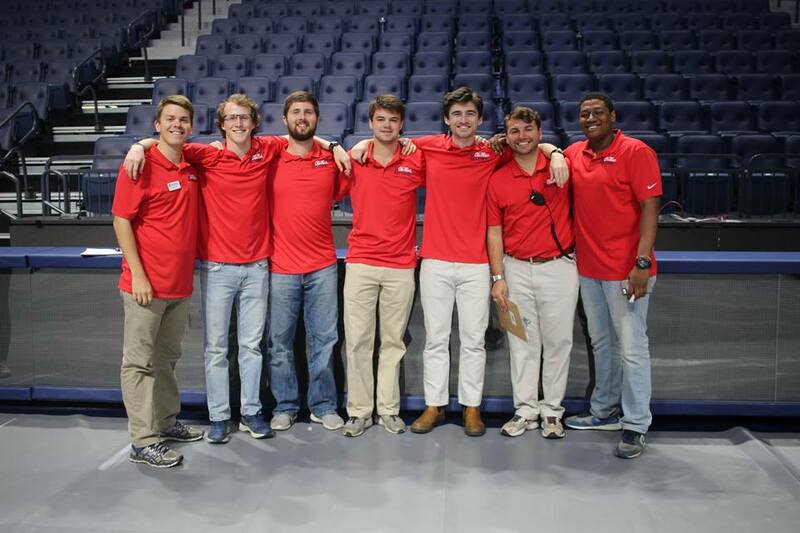 On this BIG day, students of The University of Mississippi will serve as voluntary participants in service throughout the Oxford/Lafayette area. This day of service is a chance for the Ole Miss Community to offer a BIG “Thank You” to the Oxford/Lafayette communities. These projects may include painting, yard work, washing windows, cleaning, assisting the elderly, etc. If you are a UM student, visit the Student Sign-Up web link for additional information on how to participate. Community members looking to sign up can contact the executive committee at olemissbigevent@gmail.com for registration information. 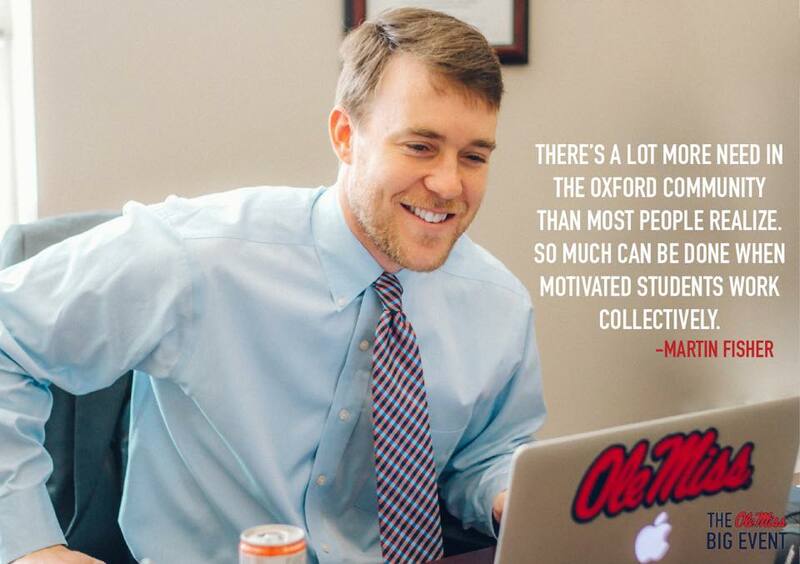 Service has been a part of the Ole Miss Community since the school’s beginning in 1848. 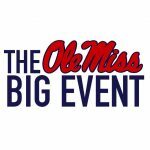 This year the Ole Miss Big Event is joining the University to its city in the biggest service event of Oxford’s history. 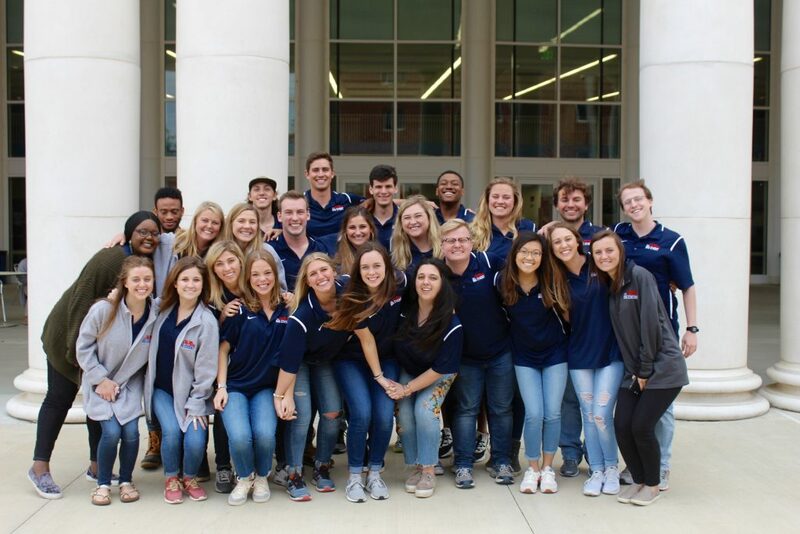 UMSFusion, an annual service event developed in 2003, gave students of The University of Mississippi the opportunity to volunteer in the Oxford/Lafayette community. The event has continued growing year after year. 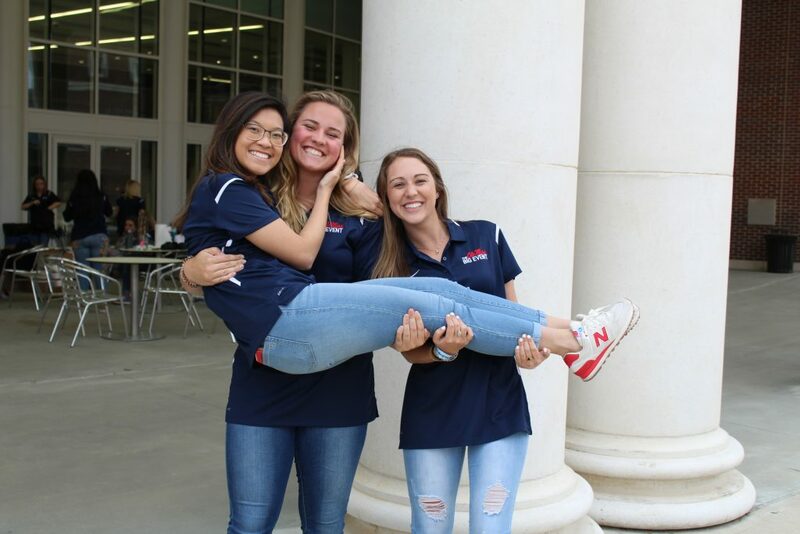 It is clearly evident that the students of Ole Miss are committed to providing assistance and service to the members of the local communities. After visiting College Station, TX in 2010, student leaders and staff from Ole Miss were excited by the idea of a large-scale, one-day community service project similar to Texas A&M’s “Big Event.” The decision to take service to the next level in Oxford was made by the student leaders of the ASB and the staff of the University’s Office of the Dean of Students. 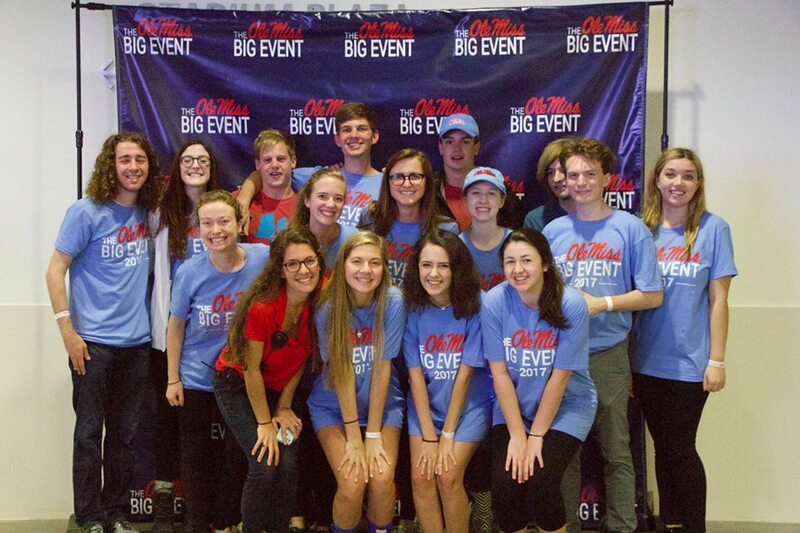 The first year, over 1,200 students participated in the first Ole Miss Big Event! Braving wind, rain, and hail, students gathered in the Student Union to kick off the BIGGEST community service project in Ole Miss history! The 2012 Big Event witnessed a vast increase in both number of volunteers and projects. Over 3,000 students signed up to complete nearly 300 service projects in the Oxford and Lafayette communities. Join us this year and be a part of one of the BIGGEST Ole Miss tradition! 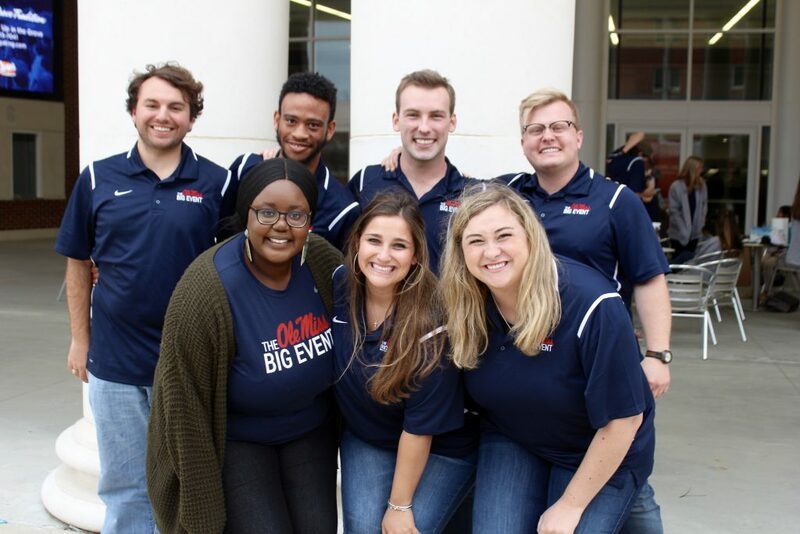 The purpose of The Ole Miss Big Event is to dedicate a day of service to the community while building relationships between students and community members. 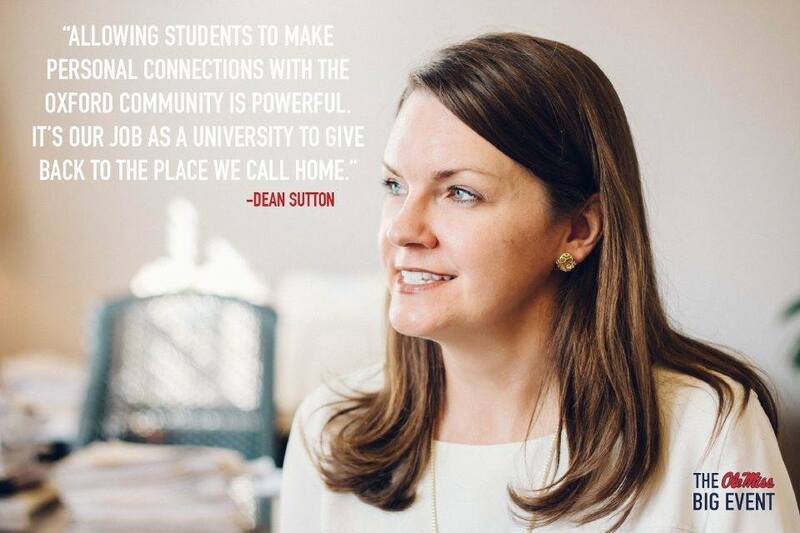 Through positive interaction students will say thank you to the Oxford and Lafayette areas for the support the students are given throughout their tenure at the University. By actively participating in these projects, we would like to instill the value of service in our peers. It is our hope that students will use this event as a spring board to volunteer their time to other service projects in the future. We hope to see you March 23, 2018!